Doug Hale, an actor who made frequent guest appearances on television and appeared in many movies, died on 28 April 2014. He was 73. Doug Hale was born in Athens, Georgia on 11 June 1940. He was only five years old when he took up the trumpet and cornet. He was only eight years old when he started his acting career, appearing in a play at the University of Georgia. He started a career as a professional trumpet player when he was only 12 years old, playing with the University of Georgia dance band. He began college at the University of California, Berkeley and finished at the University of Georgia. He earned a BA in English Literature and a Medieval Literature and Linguistics. For two summers when he was in college he played with the Glenn Miller Orchestra conducted by Ray McKinley in Las Vegas. He taught for a time at the University of Georgia, followed by the University of North Carolina and then Carolina Chapel Hill and finally Columbus College. He joined the United States Air Force Reserves in 1965 and served as a cargo pilot during the Vietnam War. Mr. Hale retired from teaching to take up acting full time. He made his feature film debut in 1971 in Challenge (1974). In the Seventies he appeared in the films The Night They Robbed Big Bertha's (1975) and Pray TV (1980). He appeared on such TV shows as The Bionic Woman, Kojak, The Rockford Files, What Really Happened to the Class of '65?, and The Incredible Hulk. In the Eighties he appeared on such shows as The Greatest American Hero, Hart to Hart, the revival of Alfred Hitchcock Presents, Crazy Like a Fox, Hotel, Scarecrow and Mrs. King, Highway to Heaven, Max Headroom, and Nigh Court. From the Nineties He appeared on such shows as Weird Science, Babylon 5, The West Wing, Mad Men, and Life. He appeared in the films Lullaby (2000), Ali (2001), and Stranger at the Pentagon (2013). 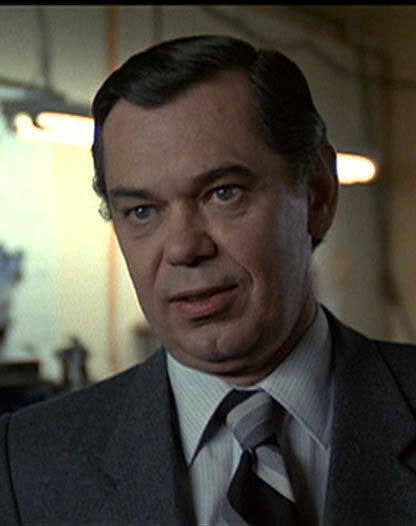 Leslie Carlson, an actor perhaps best known for his appearances in many films directed by David Cronenberg, died at age 81 on 3 May 2014. Leslie Carlson was born on 24 February 1933 in Mitchell, South Dakota. He earned both a BFA and an MA from the University of South Dakota. It was in the Sixties that he moved to Canada. He made his television debut in 1972 in an episode of Norman Corwin Presents. His film debut came in 1973 in the movie The Neptune Factor. In the Seventies he appeared in such films as The Hard Part Begins (1973), McQ (1974), Deranged, Black Christmas (1974), Shoot (1976), I Wasn't Scared (1977), Raku Fire (1977), Love at First Sight (1977), Deadly Harvest (1977), Who Has Seen the Wind (1977), High-Ballin' (1978), and Mr. Patman (1980). He appeared on the TV shows King of Kensington, The New Avengers. He had a recurring role on the TV show Custard Pie. In the Eighties he appeared in such films as Improper Channels (1981), Circle of Two (1981), Videodrome (1983), The Dead Zone (1983), A Christmas Story (1983), The Fly (1986), Street Smart (1987), and Rolling Vengeance (1987). He appeared on such shows as The Littlest Hobo, Night Heat, American Playhouse, War of the Worlds, The Twilight Zone, Murphy's Law, Friday the 13th, and 21 Jump Street. He had a recurring role on Avonlea as Mr. Lawson. In the Nineties Mr. Carlson appeared in such films as Chaindance (1991), K2 (1991), Morning Glory (1993), Young Again (1995), The Wishing Tree (1999), Camera (2000), and Silver Man (2000). He appeared on such shows as Scales of Justice, Highlander, The X-Files, Side Effects and PSI Factor: Chronicles of the Paranormal. From the Naughts into the Teens Mr. Carlson appeared in the films Looking for Angelina (2005) and Your Beautiful Cul de Sac Home (2007). He appeared on such shows as Odyssey 5, Haven, Lost Girl, and Murdoch Mysteries. Leslie Carlson was an incredibly versatile actor. Over his career he played everything from the sinister head of Spectacular Optical Corporation, Barry Convex, in Videodrome to the unassuming storekeeper Mr. Lawson on Avonlea to the canny Christmas Tree Salesman in A Christmas Story. Over the years he played everything from doctors to preachers to police officers to teachers, and he did all of them well. There can be little wonder why he was so prolific. Painter and sculptor H.R. Giger, who designed the title creature for the classic Alien (1979), died on 12 May 2014 at the age of 74. The cause was injuries he suffered from a fall. H. R. Giger was born on 5 February 1940 in Chur, Graubünden, Switzerland. He attended the School of Applied Arts in Zurich where he studied architecture and industrial design. Following graduation Mr. Giger worked for Andreas Christen designing furniture. He also directed the short "High and Heimkiller" (1967) and the documentary feature Swiss Made (1968). He took up art full time in 1968. In 1973 he directed the documentary short Tagtraum. In 1977 he published his first book of paintings, H.R. Giger's Necronomicon. He was commissioned by director Alexandro Jodorowsky as a designer for a planned adaptation of the novel Dune, but the project fell through. It was after director Ridley Scott saw a copy of H.R. Giger's Necronomicon that he convinced 20 Century Fox to hire the artist as a designer on Alien. He later served as a designer on the films Species (1995) and Alien³ (1992). In all H. R. Giger published 20 books of his artwork. He also designed many album covers over the years, starting with the cover for Walpurgis by The Shiver in 1969. 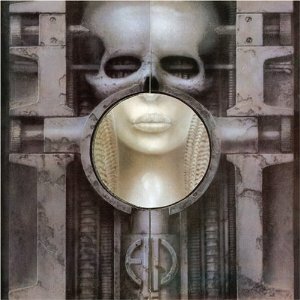 Among the album covers he designed were Brain Salad Surgery for Emerson Lake & Palmer, Koo Koo for Debbie Harry, Frankesnchrist for The Dead Kennedys, How the Gods Kill for Danzig. In 1998 H. R. Giger bought the Château St. Germain in Gruyères, Switzerland and opened a museum there. It not only contains Mr. Giger's artwork, but also that of Salvador Dali and other surrealists. There can be no doubt that H.R. Giger had a singular talent, one that was particularly suited to the late 20th Century. His art often portrayed downright nightmarish machinery, often meshing together biology and technology. If his work for Alien had such an impact, it is perhaps because Mr. Giger's work looked alien, and yet at the same time seemed somehow familiar. Perhaps no artist captured the darker recesses of the 20th Century imagination like H.R. Giger did. You might know Vanessa Marquez as Nurse Wendy Goldman from the TV show ER or as Ana Delgado from the film Stand and Deliver (1988). If you are part of the Turner Classic Movies fan community on Twitter you have probably encountered Miss Marquez at any number of TCM Parties held there. You might also know her from the Star Wars fan community. She is not only a talented and beautiful actress, but she is one of the nicest, sweetest individuals with whom one can interact as well. Sadly, Vanessa Marquez is involved in a fight for her life with a very deadly disease, Stage 2 Refractory Coeliac Disease. It is a very dangerous disease that even carries with it an increased risk for a type of non-Hodgkins Lymphoma. Unfortunately treatment for Refractory Coeliac Disease is very expensive and Vanessa has exhausted her life savings fighting the disease. To continue treatment Vanessa has to raise a good deal of money in a short amount of time. There is a fundraiser currently under way for Miss Marquez at GiveForward.com. Please give whatever you can to help or if you cannot afford a monetary contribution please share the GiveForward page for Miss Marquez's fundraiser. Both she and her many friends will greatly appreciate it!